Hawks Prairie is a community of Lacey located between exits 114 and 109 of I-5. Though the area is largely business, there are a few residential areas along the edges. Homes for sale here range from established single-family residences to newly constructed townhouses. Hawks Prairie has seen a lot of growth in recent years and is the location of the proposed project for Lacey’s new Gateway Town Center, with Washington’s first Cabela’s as the crown jewel. One of the first restaurants that opened here is the Hawks Prairie Restaurant, well known for their breakfast spread. 2 Beds | 2 Baths | 1159 sq. Ft.
| 0.75 Baths | 416 sq. Ft.
1 Beds | 1 Baths | 399 sq. Ft.
Blue Summit Realty has the most accurate and up to date Hawks Prairie real estate listings on the web. Currently there are 8 homes for sale, 15 condos for sale, and 4 vacant land properties in Hawks Prairie. Of the 28 total Hawks Prairie residential listings for sale 0 are bank owned, 0 are short sales, 0 are new construction, and 0 are townhomes. The price ranges from $42,000 to $0 with a median list price of $263,275 and median sold price of $310,147. 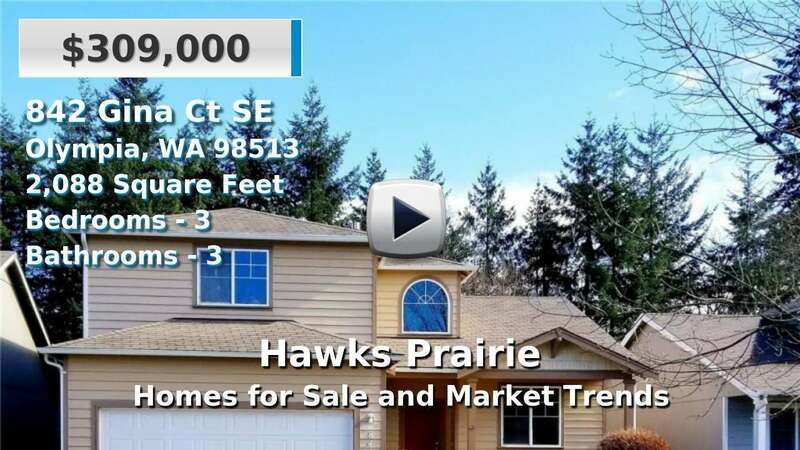 Make sure to refine your Hawks Prairie real estate search by property type, price, square footage, bedrooms, bathrooms and more with the search tool above or view the Hawks Prairie listings on our interactive map. Our Hawks Prairie real estate listings were updated 09 minutes ago.